On March 8, Simcoe County Committee of the Whole will be asked to allow large quantities of water to be taken from the Alliston Aquifer, an area governed by the Lake Simcoe Protection Plan. This is a very important issue, says Becky Big Canoe, a member of the Chippewas of Georgina Island. Aaristic Services is applying for a permit amendment to take water to the amount of over a million gallons every 4 days, 365 days a year from the Alliston Aquifer, she says. Big Canoe is a Water Walker who was inspired by Josephine Mandamin, an Anishinaabe elder who recently received the Ontario Heritage Award for walking around all of the Great Lakes to bring awareness to the many water issues faced by the lakes. The Chippewas of Georgina Island have also filed a Duty to Consult order to the County of Simcoe which is being brought to the attention of County CAO Mark Aitken. 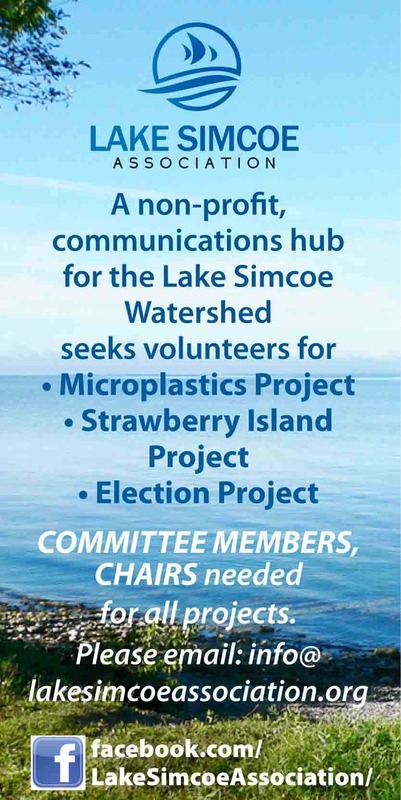 Big Canoe co-founded a group called Water is Life – Coalition for Water Justice to use the power of social media to bring public awareness to issues that affect Lake Simcoe and its watershed. Water is Life – Coalition for Water Justice currently is supporting the Wellington Water Watchers and Save Our Water to intervene in a request by Nestle Corporation to install a water taking operation in the town of Elora. A town meeting was recently held and over 200 people came out to voice their opposition to the plan. Water is Life – Coalition for Water Justice joins Lake Simcoe resident Megan Varga in filing a notice of opposition to the water taking request. Varga fears it may impact the well-water availability, which is already causing problems for residents. She maintains that this permit has too many unknowns, in particular what the end use is going to be for the huge amount of water being taken. The owner of Aaristic Services, John Harris, had previously received a permit to draw water for a golf course but, when the project didn’t go ahead, attempted to use the same permit to build a well head and facilities where trucks can come in and transport away almost a quarter of a million gallons of water per day. He has refused to disclose who will be taking all this water. He is also requesting that the option to revert back to the golf course option if the market improves. The aquifer Aaristic Services intends on pumping this water out of is the eastern part of the Alliston Aquifer, according to Mike Jones, M.Sc., P.Geo, President of Azimuth Environmental. It is also within the area governed by the Lake Simcoe Protection Act. Becky Big Canoe and Megan Varga intend to continue to bring this issue to public awareness and continue building their coalition to ensure that the lake and its watershed are protected and that the spirit and intent of the Lake Simcoe Protection Act is adhered to by everyone, individuals, businesses and elected representatives alike.